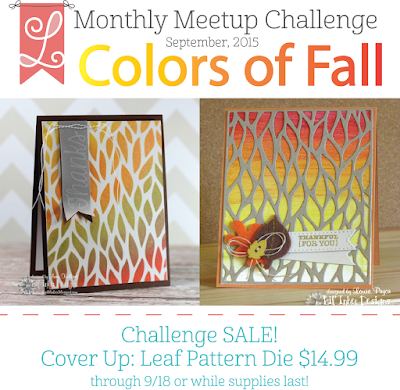 Click here to get your own Leaf Pattern Die for only $14.99!! What struck me in the inspiration was the colors and cover up die. 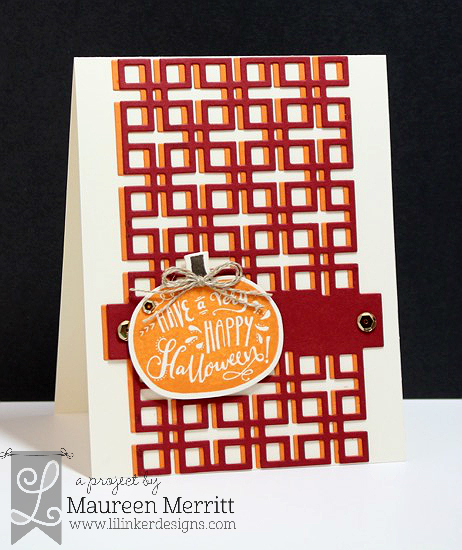 Since I don't have the Leaf Pattern Die, I used the newly released Wrappers Delight: Lattice Die. I die cut it twice and then adhered them together slightly offsetting them. I added a pumpkin from Seen on Halloween and embellished with sequins and twine. I'm really loving how the dies look layered, I'll definitely try that again. You have through September 18th at 11:30 PM EST to link your project to be eligible to win a prize. Projects should exclusively feature LID goodies to be eligible to win but do not need to exclusively feature LID goodies to join our Meetup. Winners will be announced in a new blog post shortly after September 18th. Have fun and we can't wait to see what you're working on! I love the way you off-set that die, Mo! Gorgeous card! LOVING that offset lattice! Looks amazing! 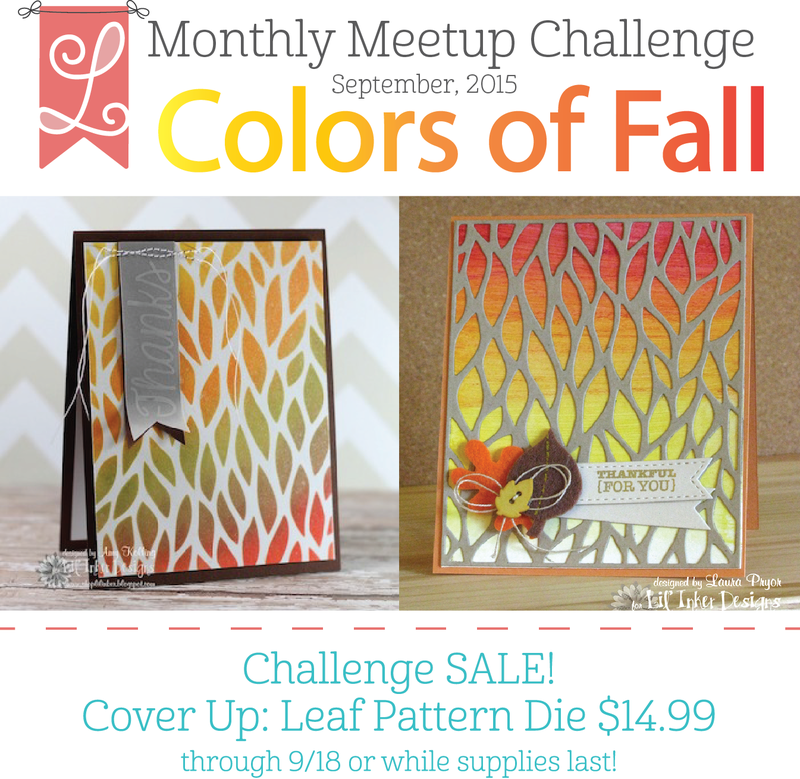 Love these fall colors and the way you've amped up your design by offsetting the die cut!